Viber is one of the most downloaded apps for call and messaging, which is also useful for sharing location and media to other people. Many people find this helpful, especially because it allows them to communicate with other people, even with the ones abroad, for free. On the other hand, there are people who are complaining and talking about privacy issues whenever they are using Viber. Their concerns may not be that huge, but they are still issues on privacy which need to be attended to. If you are among the Viber users who have concerns regarding their Viber privacy, here are some ways that you can use to protect yourself. 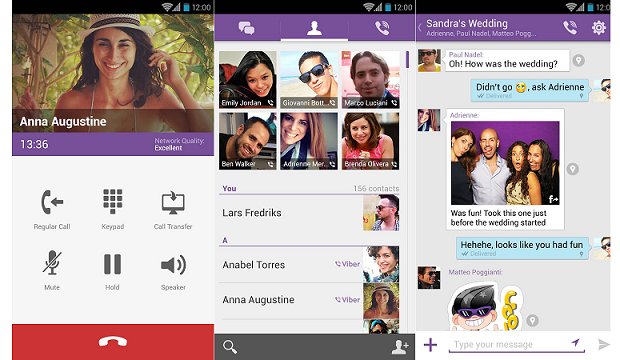 The first thing that you can do is to customize your Viber privacy settings. Unlike the other free call and messaging applications out there, Viber allows its users to freely set their settings for their privacy, control the people who are and are not allowed to contact them and the likes. From blocking contacts, deactivating your account, connecting your accounts to social networking sites such as Facebook and Twitter, displaying message previews and more – all of these can be customized with Viber. Prevent them from seeing you seeing them. Just like on Facebook, the “seen” status of messages will be displayed on the screen of the contact you are communicating with once you open their message for you. This can be annoying for Viber users, especially if they are trying to avoid communication with other people but are also curious about what they have to say. You can go to your Settings, then to your Privacy options and turn this feature off, if you do not want other people knowing that you have seen their message and let them find out when you have logged in. Finally, you can also change your login status if you are trying to avoid talking to some of your Viber contacts, but wish to check some of your messages and talk to people who are important to you. All you have to do is to go to your Settings, then select Privacy and then turn off the “Share Online Status” feature of your Viber account. So, if any of the situations mentioned earlier applies to you and you wish to customize your Viber privacy settings, just refer to the instructions above and protect your privacy from the people that you are trying to avoid.